This parasitoid left locals and celebrities begging for more. Photo by Art Schwartz. This costume was put together out of recycled materials. Photo by Art Schwartz. The cast and crew will be taking to the stage again in the near future. Photo by Art Schwartz. There were major feats in set design. Photo by Art Schwartz. (L-R) Perfecto Cuervo, Brian Bonacci, and Steven Defendini. Photo by Art Schwartz. Let’s hope this will be the only story in The North Bergen Reporter that mentions killer extraterrestrials descending on Hudson County’s northern end. 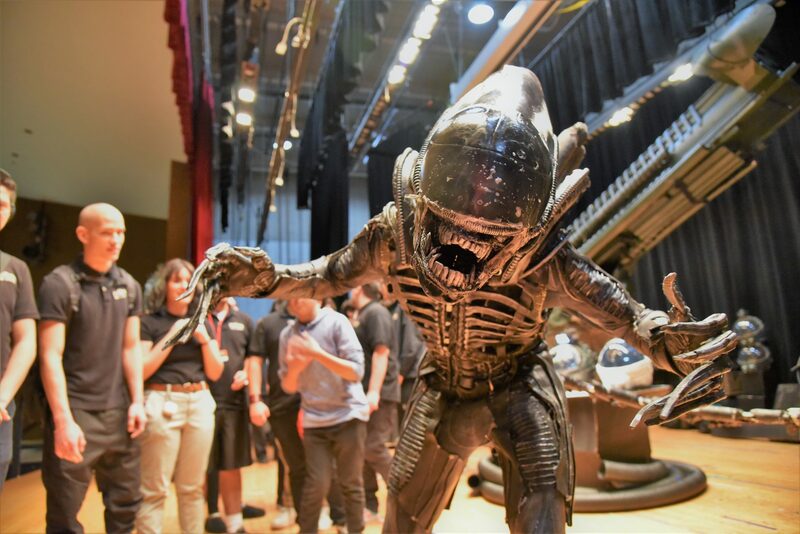 A towering creature immediately recognizable from Ridley Scott’s masterpiece “Alien” film series took to the stage of North Bergen High School’s auditorium on March 19 and 22. It stalked actors in spacesuits against the backdrop of the Nostromo, the intergalactic space vessel featured in the franchise’s debut and numerous sequels. The trailer for the show released by North Bergen High School can be viewed here. 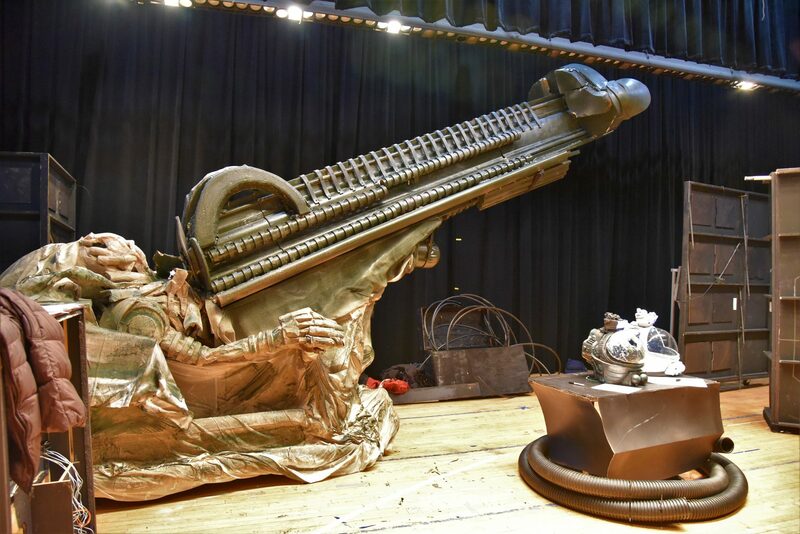 Blowing off the usual “Crucibles” and “Our Towns,” the high school’s drama club may have been the first to attempt a stage adaptation of the 1979 sci-fi thriller, complete with special effects that rival those of big-budget feature films. The result garnered headlines in The New York Times, USA Today, and dozens of other national publications, after videos of the show went viral. With a $3,500 bake-sale budget, a handful of students worked months with supportive faculty to reach this new frontier. 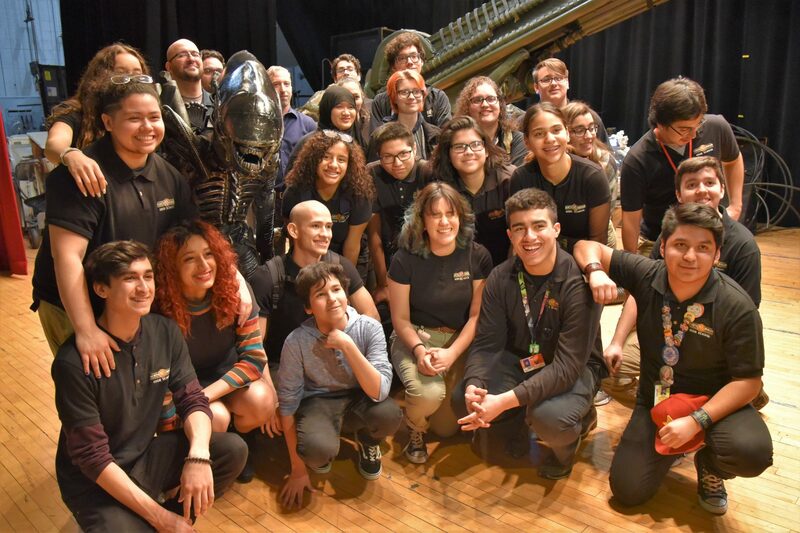 North Bergen High School doesn’t have an official theater program, but that didn’t keep the cast, crew, and teachers from creating an eye-popping sci-fi production. 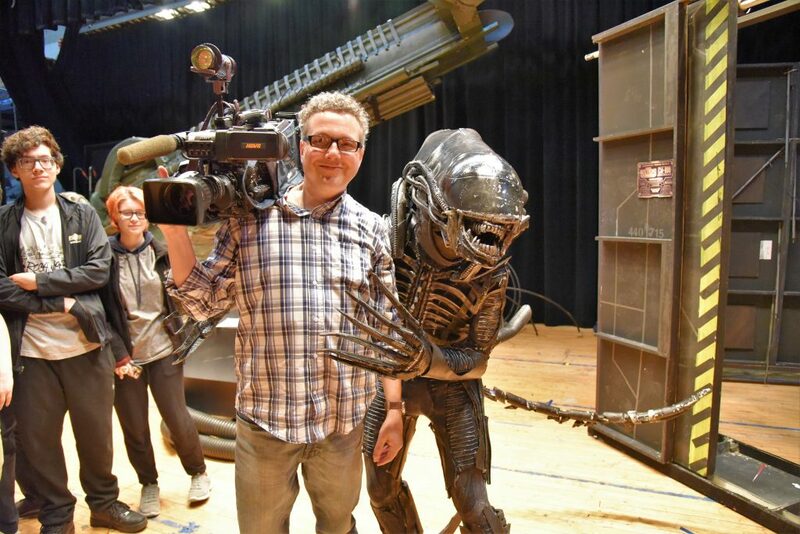 “Alien” starred eight North Bergen High School students. Ibrahim Jaludi, David De Diego, Pedro Sarmiento, Britney Gonzalez, Jason Lopez, Dakota Rios, and Gabriella Delacruz play the cosmonauts who discover an alien ship during a return trip to Earth’s moon. Xavier Perez petrified audiences in a full-size “xenomorph” outfit, complete with dripping fangs, spiky back, and tensile tail. The play was conceived and produced by drama teacher Perfecto Cuervo. Art director Steven Defendini’s skill with sculpture helped in the set and costume design collaborations with students. Music teacher Brian Bonacci, who was involved in sound and lighting, co-produced the play. The set designs and costumes were constructed from recycled materials. Face-smothering parasites, airlock doors, and space suits were constructed from discarded plastic. Sigourney Weaver, the star of several films in the series, also caught wind of the production and sang its praises. Elijah Wood, of “Lord of the Rings” Trilogy fame, tweeted, “Holy s—!” in response to a snapshot of the ghastly monster. 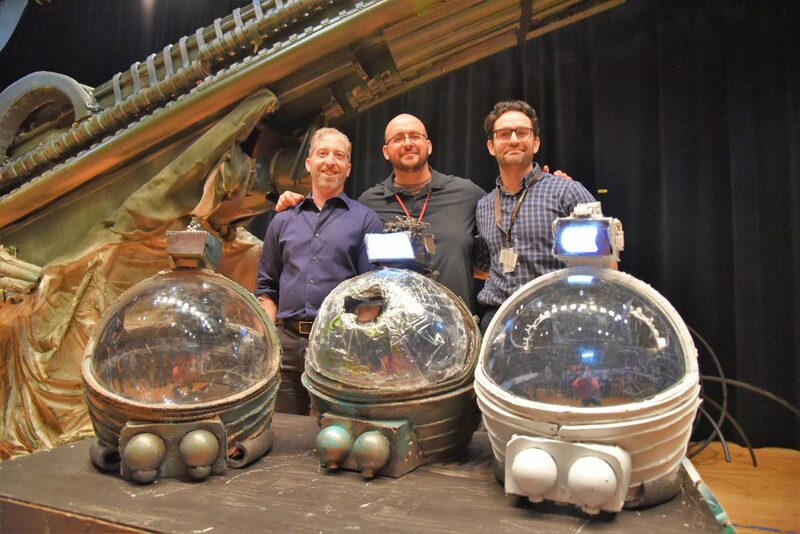 MythBusters co-host Adam Savage also gave North Bergen a twitter shout-out, writing about his itch to see the performance in person. After the play’s initial showings on March 19 and 22, North Bergen Mayor Nicholas Sacco funded encore performances through the Nicholas J. Sacco Foundation. The encore dates have yet to be announced. North Bergen high school students are currently in a transition period. A high school expansion project includes a performing arts program slated to run at the former High Tech High School building. The theater there, equipped for TV and radio production, would be a major asset to the students in their future dramatic efforts. For updates on this and other stories check hudsonreporter.com, or follow us on Twitter @hudson_reporter. Mike Montemarano can be reached at mikem@hudsonreporter.com.